The state of New York is subject to different climates in the north and south. The majority of it lies in the humid continental zone while the southeastern part, New York City, enjoys a warm humid subtropical climate. But whatever part of the state you live in, heating and cooling needs are higher than ever, with freezing winters and sometimes hot and sultry summers. So it is no surprise that New York has a large market and demand for HVAC products and qualified HVAC professionals to service them. In order to work as an HVAC technician in New York, schooling is not required. New York contractors also don’t need schooling from NY, but they do need to have minimum qualifications to work in this profession. While New York doesn’t require a license in order to work as a technician, you should still get a certificate or associate degree in the HVAC field in order to get employed in this field. Engineers will also need at least a 4-year undergraduate degree to get a job in this field. You can learn more about the certification process for HVAC techs here and NY-specific requirements here. The federal government does require technicians to have Section 608 Technician Certification if they will work with refrigerants. The Type II license is recommended, or you can opt for the Universal License as well. New York is a pretty awesome place for HVAC technicians and experts. In NY, a rookie can earn over $15 an hour, while an experienced HVAC tech can make over $24 an hour. The average rate is around $26.25 per hour. This is 27% above the national average for an HVAC Technician, which is $19.10 per hour. The range of wages in New York for an HVAC Tech is from $12.67 per hour to $40 per hour, and a technician can expect to take home between $26,177 to $95,576 annually. Apex Technical School offers an undergraduate certificate in Air Conditioning, Refrigeration, Appliance/Controls, which lasts about 30 weeks. You spend about 450 hours learning in-class and 450 hours getting hands-on training during the program. By the end of the program, you will be able to troubleshoot and evaluate the performance of refrigerators, air conditioning and appliance equipment. The program also prepares you to take the EPA Type 608 certification exam. According to the Accrediting Commission of Career Schools and Colleges (ACCSC), 71% of program graduates got jobs and the tuition and fees totaled $18,379. 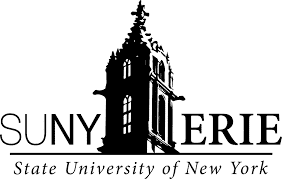 CUNY offers an associate degree in Environmental Control Technology/AAS. The curriculum consists of theory, design and practical laboratory courses. The degree requires 60 credits to complete, with 38-39 credits in Program-specific and elective courses and 21-22 in liberal arts and science courses. The program length is two years. Graduates of this program get employed in a variety of roles including as operating engineers, designers and CAD specialists, sales engineers, estimators and project managers. Employers range from commercial office buildings, large residential complexes, hospitals and health care agencies, museums, schools, to consulting engineers and service contractors. Graduates can also opt to continue their education to receive a bachelor’s degree in facilities management or pursue mechanical engineering degrees elsewhere. Tuition is $6,669 in-state, and $13,779 out-of-state. SUNY offers a Certificate Program in Heating, Ventilation, Air Conditioning and Refrigeration Technology which prepares individuals to apply technical knowledge and skills to install, service, repair and maintain the equipment used in heating, air conditioning and refrigeration systems. The curriculum has a total of 31 credits and includes courses in system operations, principles of mechanics, diagnostic techniques, usage of testing equipment, and electricity as they relate to heating, air conditioning and refrigeration systems. The program length is 2 years and the university is in a large city. Graduates of this program will also have the ability to achieve the EPA regulations certification regarding refrigerant handling and will be aware of basic mechanical and electrical safe working practices. The Associate Degree in Air Conditioning Technology: Heating and Ventilation offered by Monroe Community College provides practical, hands-on training in all aspects of heating, ventilation, and air conditioning. The 2-year degree program has 61-64 credits and also teaches students about green technologies. Studies take place in state-of-the-art labs, a cost-effective preparation for the Air Conditioning Technology associate degree. Students of this program will learn about motors, electronics, pumps, ventilation, and refrigeration technologies along with applied mathematics and science. Since the program emphasizes practical application of HVAC systems, you can develop skills such as plumbing, electrical, and carpentry. If you’re just entering the workforce, or already work in the industry and want to increase your skills and potential earning power, this is a good program for you. The tuition fees are $4,554 in-state and $8,354 out-of-state. The Heating/Air Conditioning/Refrigeration Technical Services, Associate in Occupational Studies degree is designed to prepare you to enter the industry with the necessary skills for installation and service of commercial and residential HVAC/R systems. This academic program is meant for those who wish to enter the workforce immediately following graduation. The course content consists of refrigeration theory, heat transfer systems, system design and electrical theory and application. It is a combination of lectures and nine hours per week of hands-on training, giving you a unique educational experience. The total credits required for this course are 63. It usually takes 2 years to complete the degree. The 2-year certificate in Air Conditioning and Refrigeration Technology (ACR) requires you to complete 24 credit hours. The curriculum prepares students to apply install and service residential air conditioning systems and light commercial refrigeration systems. They can also recover, recycle and work safely with refrigerants and recognize and utilize the appropriate tools, test instruments and equipment to troubleshoot and affect desired results. The campus has a large suburb setting and the tuition fees are $3,960 in-state and $7,488 out-of-state. The Undergraduate certificate in Heating and Air Conditioning from Mohawk Valley Community College has a program length of 9 months. The curriculum is designed to prepare students to troubleshoot and repair oil and gas heating systems, commercial refrigeration systems, and split air conditioners. The total number of credits is 32. The in-state tuition and fees are $5,058 and out-of-state tuition and fees are $9,308. 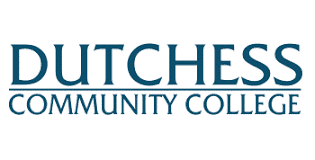 Suffolk County Community College offers both Associate degree and certificate programs in Heating, Ventilation, Air Conditioning and Refrigeration (HVAC/R). The 2-year Associate Degree program prepares students with a well-rounded education in HVAC/R technology, including a thorough understanding and working knowledge of the theory and practical applications necessary for superior systems operation. The curriculum combines career-based courses such as system design, diagnostics, servicing and controls with real-life, hands-on training through internships and intensive laboratory sessions. The HVAC/R degree program includes some courses that are offered day or evening and others that are offered on the weekend. The program requires 64-66 credits to graduate. The Heating, Ventilation, Air Conditioning and Refrigeration (HVAC/R) certificate program is a part-time program that is suitable for people who are already working in the HVAC industry or wish to join the industry. Through this program, students can complete their course work in a shorter period of time than the degree program. 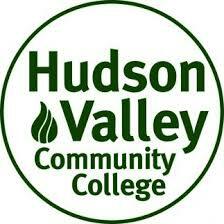 Students can apply credits earned in the certificate program towards the associate degree in HVAC/R. The HVAC/R certificate program includes some courses that are offered day or evening and others that are offered on the weekend. The certificate program requires 34 credits to graduate. An HVAC Engineer job is a well-paying and popular job in NY state. As an HVAC Engineer, your duties can include the design, installation, maintenance, and repair of heating, ventilation, air conditioning, cooling, and refrigeration systems. You may design systems for residential, industrial, institutional and commercial buildings. In New York, an HVAC Engineer takes home around $72,656 per year on average, which is 10% higher than the national average for an HVAC Engineer which is $65,483 per year. The range of salaries for an HVAC Engineer in New York is from $56,723 to $82,076 per year. The average pay for Senior Mechanical Engineers can go up to $110,082 per year. Education for an engineer generally consists of attending school to earn a degree in mechanical engineering. The BS in Mechanical Engineering is a rigorous 4-year program that prepares you for a career in not just HVAC, but many other fields related to various branches of engineering. Seniors may specialize by choosing electives in design, manufacturing, thermal/energy systems, or heating, ventilation and air conditioning. Total credits are 133-135. The prestigious Columbia University is part of the Ivy Leagues School System. 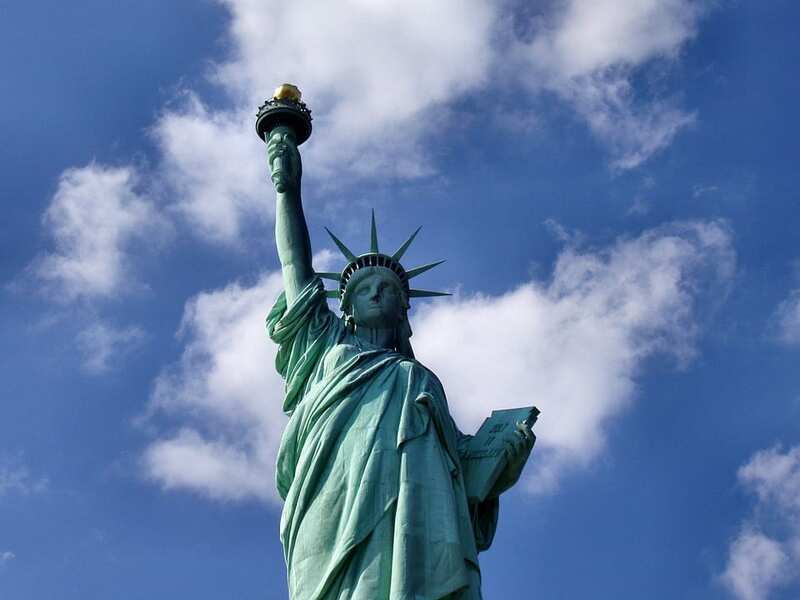 The campus is based in New York City and the admission process is rigorous, so getting into the university is tough. The four-year undergraduate program leading to the B.S. degree in mechanical engineering is accredited by the Engineering Accreditation Commission of the Accreditation Board for Engineering and Technology (ABET). The course requires 64 credits to graduate. Students can choose from an extensive list of available courses both within the department and engineering school as well as at Columbia College. There are numerous opportunities for undergraduates to participate in research projects, working with faculty and graduate students in our state-of-the-art labs. Most undergraduate students also participate in clubs such as the ASME, Solar-Splash, SAE, and AIAA. The Median starting salary for mechanical engineers from Columbia is $67,600. The annual cost of studying at Columbia is estimated as $75,845. A Master’s degree is also offered in Mechanical Engineering. Cornell is also an Ivy League school, and getting in is neither easy nor cheap. But if you have what it takes, the BS in Mechanical Engineering can lead to a great career in HVAC. The four years program has 126 credits and 39 classes and is designed to provide a broad background in the fundamentals of Mechanical Engineering as well as to offer an introduction to the many professional and technical areas with which mechanical engineers are concerned. The program covers both mechanical systems (structural analysis, dynamics, and control), and materials processing and fluids, energy, and heat-transfer systems. The median salary for Cornell graduates in Mechanical Engineering is $70,000 with the average graduate earning $71,063. Cornell also offers a Master’s degree in Mechanical Engineering. Employment opportunities for HVAC technicians and HVAC engineers are numerous in New York state, but to get the best jobs you need to have the right qualifications. Based on the locations that are suitable for you, check out the recommended schools above and find out about their admissions process to see how to proceed. This is a great time to be in the HVAC industry, so don’t wait to improve your prospects, and go for the school and qualification that fits you best.